The Ironman World Championship Triathlon, held on the Big Island of Hawaii, is arguably the world’s greatest challenge of strength and endurance. The annual Championship draws dedicated athletes from every corner of the planet to test their abilities and push their limits. Participants swim across strong ocean currents, bike through plains of volcanic rock, and run against brutal winds, all while under the pressure of sun’s scorching rays. While Ironman Hawaii 2019 is enough to attract athletes, the beauty of the island keeps them around a little while longer. 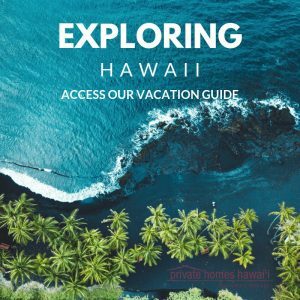 If you’re planning to make the trip this year, be sure to access our complimentary Vacation Guide to uncover all the best things to do during your stay! Ironman Hawaii began on the island of Oahu in 1978. The idea was to combine the three most rigorous endurance races into one major event. Only fifteen athletes competed in the inaugural race. In 1981, the triathlon moved to the Big Island of Hawaii. Since then, the number of athletes who participate each year increased to over 2,000. People spend their lives training to compete in this widely-acclaimed test of strength and ability. Striving to set new world records or to reach personal goals, they dedicate themselves to pushing their minds, bodies, and spirits to the limit. Thousands of individuals spend countless hours training for the big race in Kailua Kona. Some intend to meet personal fitness goals or to become the Ironman Hawaii 2019 World Champion, while others compete to raise money for nonprofits. Regardless of what brings them to Hawaii, they all have the same Ironman mantra in mind: “Anything is Possible.” This triathlon is not for everyone. In order to compete in Ironman Hawaii, athletes must earn a slot in one of the full-distance Ironman qualifying races held prior to the Kona Race. This rigorous triathlon is divided into three major sections. The first is a 2.4-mile swim which begins and ends at the Kailua Pier. The athletes traverse the Pacific’s warm waters in an emotional start to this grand event. After the swim, athletes transition to the 112-mile bike course which stretches along the Big Island’s coast. The terrain consists of rolling hills, and bikers face heavy blasts of wind that are known to blow cyclists across the road. The third and final section is a 26.2 running marathon that continues to follow the coastline. Athletes push against the “hoomumuku” crosswinds that reach up to 45 mph. There is, undoubtedly, no better feeling than crossing that finish line. The sense of accomplishment that follows all of the sweat and hard work put into completing this course is an overwhelming sensation. 2019 marks the 41st anniversary of the Ironman World Championship. In the past, the Ironman Foundation raised money to help aid relief efforts in Hawaii. These efforts aimed to repair the damage done to the beautiful island as a result of earthquakes and natural disasters. We’re excited to see what they will do this year! The excitement of the 2019 Ironman Hawaii event will leave you exhausted, no doubt. 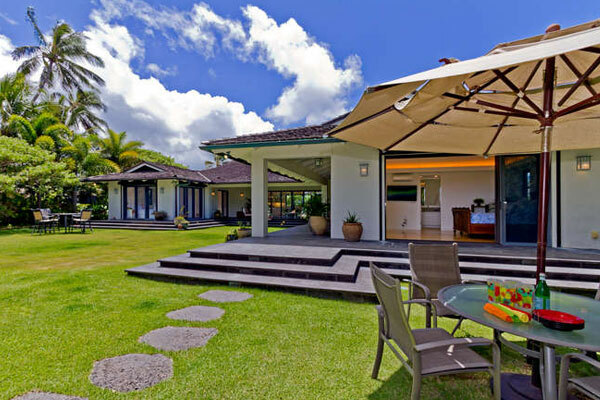 Enjoy the comforts of home amidst the breathtaking landscapes of Hawaii in one of our gorgeous vacation home rentals. Our homes feature designer furnishings, ample space, and tranquil island vibes. Our beautiful properties make the perfect place to recover from the physical and mental stress and exertion. Enjoy a memorable visit centered around the intensive triathlon and treat yourself to a dream tropical vacation. 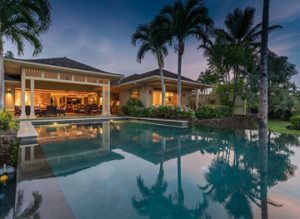 The stunning Hualalai Hainoa Estate includes four bedrooms, a private heated pool, and spa access at the Hualalai Resort. Dine in at one of the resort’s many restaurants or pick up a convenient meal to go if you’ve got big plans for the day. Our concierge will gladly assist you in planning and transportation. The panoramic ocean views of this property are enough to convince you to stay on the island forever!